You know that dad who refuses to give up his Vette for a minivan? 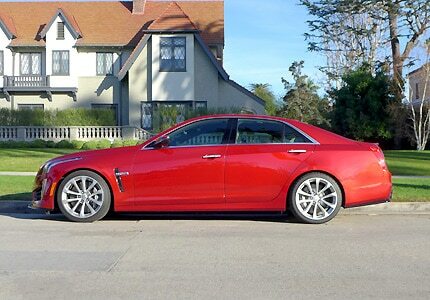 Well, one ride in the 2016 Cadillac CTS-V Sedan and he'll realize he doesn't have to. While it's no sporty roadster, this 4-door behemoth of horsepower and torque is the best way for a parent to find more cargo room, luxury and comfort in a car that can still jump 0 to 60 in 3.6 seconds.